Artificial intelligence (AI) has been around in concept since the 1950s when Arthur L. Samuel, created a learning algorithm that allowed a machine to beat the local state checkers champion. Yet, it took the largest supercomputer at that time and all its compute power to run that single algorithm to teach the machine how to play. The barrier to entry was so high it was out of reach for most business and research facilities, thus it never took off. Fast forward to today—the game has changed; the cost of compute and the amount of data will be the catalyst that enables customers to implement AI. The barrier to entry is much lower and customers believe AI will lead the Digital Transformation. Thanks to Moore’s Law compute has become vastly more economical. This, married with innovations like GPUs, FGPAs, TPUs and other accelerators, has allowed the enabling technology to be more affordable and powerful enough to analyze data at scale. At the same time, as business has become “real-time”, the window of relevancy of the data has shrunk – and the time to make decisions has become critical to making those decisions successful. And as data and data sources have exploded, AI has become economically and technically viable for customers, and a differentiator in their own operations, security, and business objectives. This inflection point has also given rise to a powerful new career field, Data Science. Data scientists utilize these compute platforms and scientific methodologies to provide data-driven insights that directly impact the business they support. The Data Science jouney began with performing data analytics leveraging universal data warehouses. Dell EMC was already helping customers with designs that provided ready-to-use infrastructure with tuned performance, partnering with Apache Hadoop distributors. As our customers have matured on their Hadoop implementations with growth in clusters, more experimentation is taking place and there is a need for integration with business intelligence tools and streaming analytics. This journey centers on unleashing the power of analytics to bring data to life within the shortening windows to achieve more “real-time” insights. These steps advance data science toward machine and deep learning. How is Dell EMC helping? Dell EMC’s experience positions us to help customers develop AI strategies and projects within their organizations. The Dell EMC portfolio remains in line with common methodologies for exploration and application of machine learning to a given problem. Starting with a small subset of data from a larger data set, we can start our investigation and understanding of our data set. Once a model is developed we can scale the training process from a single instance of compute on to a cluster of n+1 nodes, and carry that model on through to production once satisfied with our results. Based on our history with Hadoop and HPC, Dell EMC has the ability, credibility and experience to help customers minimize risk while maximizing the value of their data as they move toward the application of machine learning in their businesses. Dell is announcing the next step in the analytics journey with Ready Solutions for AI with a concentration on machine learning and deep learning workloads. 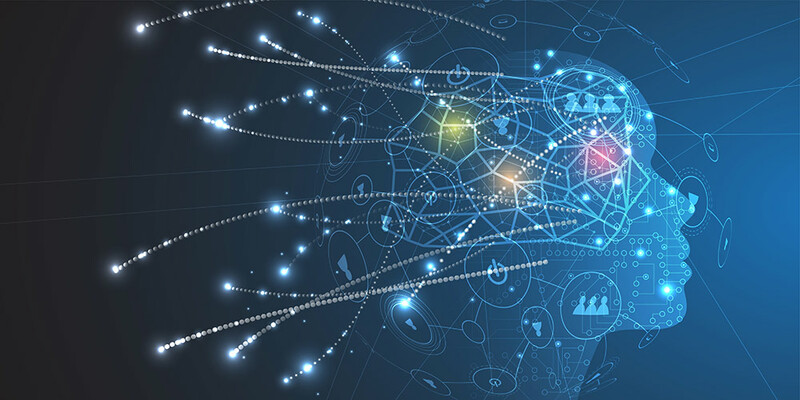 With these Ready Solutions, Dell EMC is providing the most optimized and stable solution stack for customers implementing machine learning and deep learning. Dell EMC’s objective is to help organizations enable their data scientists to actually do data science, and provide a platform that helps operationalize the underlying platform for organizing data more efficiently. This is exactly what Dell EMC does well – optimizes and integrates a compute, storage and networking stack for particular use cases, in this case, AI. But wait, there’s more…Dell EMC is also augmenting the solution with data science tools, model definition and training on through to deploying these models in production to enable data scientists to accelerate training, inferencing and algorithm development. Some highlights include Data Science Provisioning Portal on Bright Computing, radically simplifying cluster deployment with a single intuitive point-and-click GUI. Dell EMC Data Science built on top of Cloudera Data Science Workbench, enables a containerized data science environment will all the libraries, frameworks, set-up scripts for customer-specific use cases. And the Dell EMC Data Science Engine enables data scientists to start leveraging frameworks on top of Hadoop and Spark without any CLI. Dell has scaled this engagement model for many diverse environments and will provide consulting services to assist with data discovery, data flow and curation. Investigate the website and follow me @kshatzka to learn more.